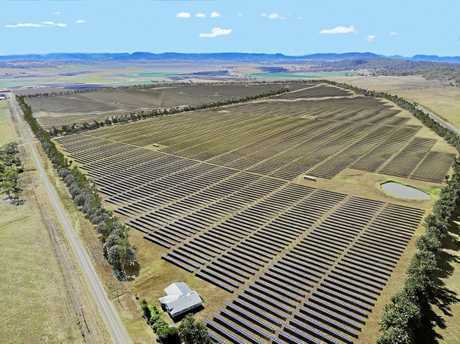 SOUTHERN Downs graziers will have access to one of the safest agistment paddocks in Queensland when the Warwick Solar Farm is complete. 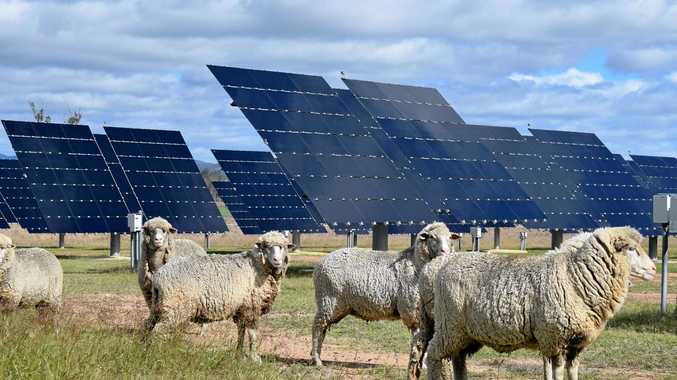 The University of Queensland energy and sustainability manager Andrew Wilson said the solar farm operator would partner with sheep graziers to run stock in between the solar panels. "We had a lot of success with that at our Gatton research facility,” he said. The design of the Warwick Solar Farm has built-in benefits for future agistment. Panels provide shade for pasture grass and help soil retain moisture while also reducing a flock's exposure to the harsh summer sun. Mr Wilson said a six-foot, partially buried, mesh fence would surround the farm. "It will be the safest paddock you can find in terms of preventing wild dog attacks,” he said. The effects are on display at the UQ Gatton Campus. "The solar fields at Gatton are greener than those surrounding the pasture,” Mr Wilson said. The concept of running sheep on the site was one of a raft of measures in the solar farm operation works plan that was approved by the Southern Downs Regional Council. It is the last big planning approval and signals construction will start soon. Mr Wilson said neighbouring landholders would see workers at the site next week, hanging fences, building site offices and preparing holding yards to receive construction supplies. "We are very close now,” he said.